Everyone loves chocolate! When it comes to fat loss it’s often the first thing that gets discarded from the kitchen cupboards. But does that really need to be the case? Whatever time of the year you start your new regime, it’s common practice that all the food you enjoy gets cast aside into the depths of the bin. A tornado-like frenzy blasts through the kitchen, stripping the cupboards bare of everything but the vegetable and rice. If after a few weeks you’re still ‘lucky’ enough to be sticking to the plan, in your heart of hearts you probably know it’s only a matter of time before you crack and end up succumbing to the temptation. In a similar frenzy to the time you threw all those goodies away, you scratch and crawl to the back of what was the treat drawer, like that scary girl crawling out of the well in the film, The Ring. Finally, you stumble across that one chocolate bar you saved in case of emergencies. This is one such emergency! Before you know it you’re face is smothered in milk chocolate like some weird milky brown face mask. The truth is that a well-constructed meal plan makes this scenario a thing of the past. Your meal plan shouldn’t be a thingyou dread looking at everyday. When you’re trying to lose weight the last thing you want is to have to worry about cravings and the fact you’re generally miserable with the foods your coach is subscribing. All the chicken and rice will count for nothing if you can’t stick to it for more than a few weeks. And that’s one of the fundamental things you should have in mind when creating your plan. With all Iron Paradise Fitness meal plans, I focus on sustainability. Having a meal plan that you can stick to on a long-term basis is my priority. I base every meal plan around the individual. Whether you like chocolate, bread, ice cream, or have a weakness for a tasty burger, I pride myself on taking the time to build those things into your plan. There might have to be some sacrifices in other areas, but so far I’ve not yet been defeated by a challenge (that’s opening myself up for failure right there…hahaha). It’s also important to learn how to flex and adapt your nutrition plan, so that the randomness of day to day life doesn’t completely throw you off track. And this is all part of the process I go through in my online coaching. In this week’s instalment of my ‘Meal Prep Sunday’ blog series, I’ve got a couple of really easy recipes for you that will mean you can easily fit some chocolate into your diet, totally guilt free. No binging required. 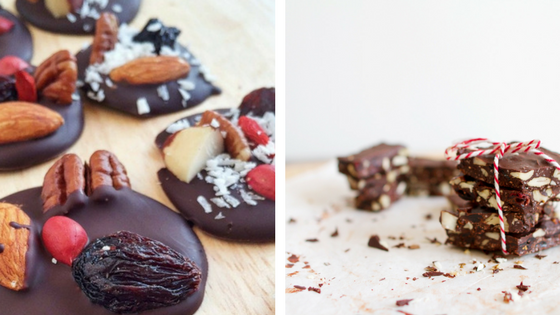 I’ve chosen these treats as they are super easy to make and require zero cooking whatsoever. Just a small amount of prep time, then whack them in the fridge and enjoy as a snack or as part of a nice dessert with your favourite ice cream. I’m sure you’ll love these two recipes, so get yourself in that kitchen and rustle up something to satisfy those chocolate cravings. 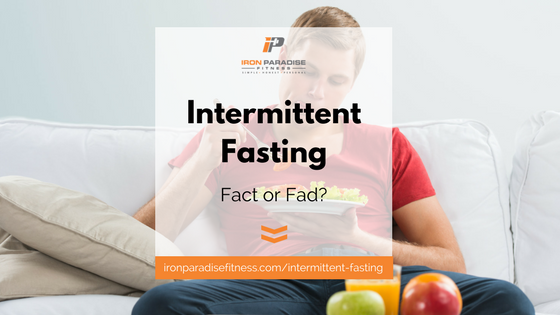 Intermittent Fasting – Fact or Fad? Is Intermittent Fasting what you need to lose more fat and build more muscle, quickly? Breakfast is the most important meal of the day. At least that what they tell us. Intermittent Fasting has gained popularity in recent years and is bringing that notion into question. So, is it still the case that your bowl of Sugar Puffs in the morning is the most critical food that will pass your lips all day. Or was The Honey Monster wrong all along? And is Intermittent Fasting the meal timing strategy you need to get those big results? To answer that question, this article is going to pick through the detail and confusion for you. Because you’re going to find out all the information on Intermittent Fasting you’ll ever need. Now, some of you will know about the concept already. But for others it will be an alien concept that requires further explanation. Without doubt, when I first heard about the idea of Intermittent Fasting (IF for short) I was immediately sceptical. Going without food for a lengthy period of time and then ‘feasting’ for a fixed period of time sounded like just another fad diet approach, pedalled by some celebrity. However, my initial scepticism may have been misplaced. Because there is evidence to show that it might have some legs. This definitive guide to Intermittent Fasting is my way of giving you the answers to those burning questions. Ultimately, I’m aiming to help you decide if Intermittent Fasting is something you want to try for yourself. Because it might not be for everybody, but it could be the nutrition strategy you’ve been looking for. What the whole Intermittent Fasting concept actually is. What the weight / fat loss benefits associated to Intermittent Fasting are. How to figure out if Intermittent Fasting is right for you. Let’s get right into the detail and find out if Tony the Tiger was right. Is breakfast really “ggggggggrrrrrrrrreat”? Does your meal plan consist of dull and boring carbohydrate sources? Plain brown rice with no flavour? Dry and tasteless food choices day after day that leave you uninspired and unmotivated? 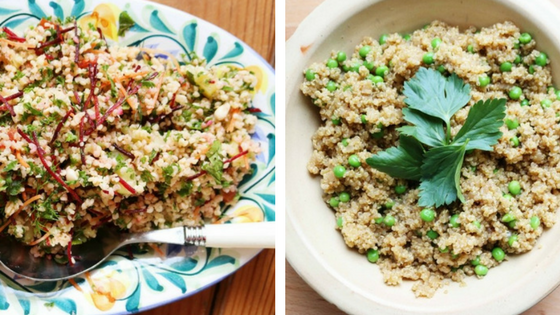 In this week’s instalment of my ‘Meal Prep Sunday’ blog series, I’ve got a couple of really easy recipes for you to liven up your carb intake for next week. I’ve chosen these dishes so that you can match them with your favourite protein to add some much needed flavour into your Tupperware containers. Throw in in some chicken, fish, or whatever your favourite choice is and you’ll have a complete dish that will slot nicely in to your meal plan. Your meal plan need never be that dark cloud that looms over your head again. You should be able to look forward to the meals and snacks you’ve lovingly prepared at the weekend. With all Iron Paradise Fitness meal plans, I focus on sustainability. Having a meal plan that you can stick to on a long-term basis is the holy grail. But that holy grail shouldn’t been as hard to find as some form of Indiana Jones style crusade. It should be something that is straight-forward and easy to understand. It’s also important to learn how to flex and adapt your nutrition plan, so that the randomness of day to day life doesn’t completely throw you off track. And this is all part of the process I go through in my online coaching. 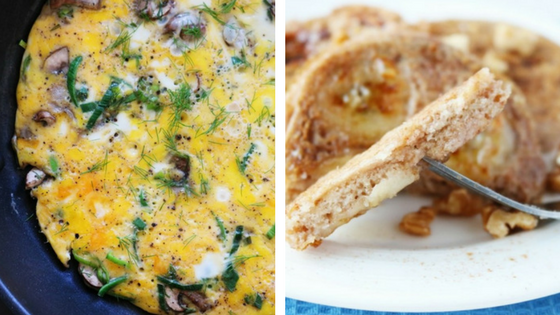 I’m sure you’ll love these dishes, so get cooking and be sure to let me know what you think. 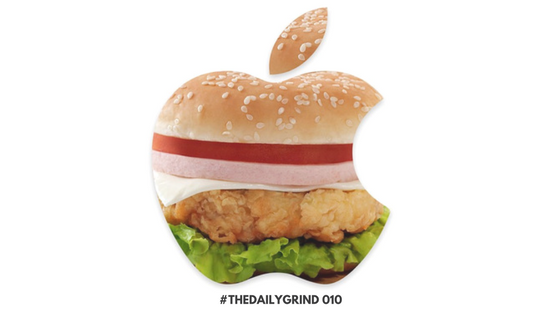 #THEDAILYGRIND 013: To Cheat or Not to Cheat? Sound familiar? That single takeaway order just weighed in at a whopping 3,330 calories!!! That’s more calories than I’m currently consuming each day on my bulk! I get it. It’s Friday night. You’ve had a long week at work. You’ve been hitting the gym hard all week, your diet has been on point, but you’re absolutely out on your feet. You just can’t face cooking another meal. Tonight you just want to rest. Someone else can do the hard work for a change. So you ransack the drawer in the kitchen that’s hiding the one takeaway menu you’d secretly hidden for emergencies such as this, and you start dialling. This is all ok isn’t it? It’s all part of the plan. It’s that little (or not so little in this case) treat for all that hard work during the week. It’s a mental break from having to count calories and worry about macros. You tell yourself it’ll be beneficial in the long run. Could this small indulgence be the one thing that’s holding you back from achieving your weight and fat loss goals? Let’s find out by starting with the basics first. The simple truth is that a cheat meal (and definitely a cheat day) can put your progress off the rails and have it careering into oblivion if you’re not careful. But it need not be the case. You can have your cake and eat it (I never understood that phrase, what’s the point of having cake if you can’t eat it?…). 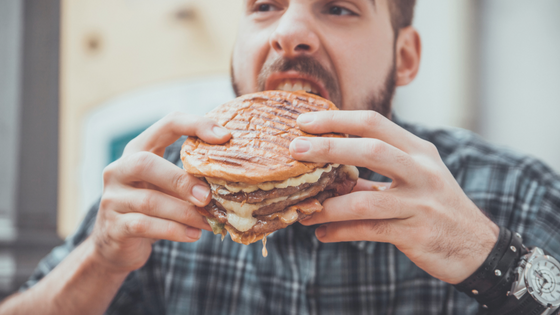 In this article, I’m going to guide you through the do’s and don’ts of cheat meals and how you can build the concept into your meal plans without worrying about the negative effects to your weight loss and progress. I’ll teach you how a second on the lips need not mean a lifetime on the hips. All it takes is a few simple tips and a little application. So why not sit back, put your feet up, grab that tub of Ben & Jerry’s Peanut Butter Cup ice cream and a large spoon. And tuck in while I show you how to make sure you can enjoy that indulgent treat and feel good about it at the same time. Omelettes and pancakes are common place in lots of meal plans these days. The omelette is a breakfast staple, while pancakes are seen as that little treat for all your hard work. But let’s look at breathing new life into these standard dishes. In this week’s instalment of my ‘Meal Prep Sunday’ blog series, we’re taking on some popular dishes for bodybuilders and fitness types all over the world. Egg-based breakfasts have been part of my own meal plans since I saw Rocky drinking his way through a glass of raw eggs before a cold run through the streets og Philadelphia. I confess that I even stuck to that regime for a period of time in the early days of my training. At the time, I was convinced the process of eating the eggs raw would mean I’d get so much more of the nutritional benefit. And for that I was willing to make every morning meal a complete misery. I’m happy to say that my own diet (and cooking skills) have moved on significantly since those early days. Although the work ethic remains the same. I still love my eggs in the morning. That high protein is a great way to start the day. It’s especially good when on a cut as it gives you that fuller feeling for longer. As for those pancakes, they’re often tagged with the label of being a ‘cheat meal’. Something you can only have when you stray off your diet in some sort of uncontrollable fashion. I’m sure you’ve seen the pictures of bodybuilders with a stack of pancakes a foot high, with lashings of syrup, ice cream and fruit drenched all over them. But proper control of your macros means they don’t always have to be associated with an uncontrolled binge or splurge. And with today’s recipe, I’ll show you a great tasting alternative pancake recipe that you should pretty easy to fit in your macros, so that means you can enjoy them or more than just one day of the week. With all Iron Paradise Fitness meal plans, I focus on creating a nutrition plan that you’ll love. I don’t want you to feel like it’s something restrictive. Your plan needs to be something that you look forward to on a daily basis and also allow you the flexibility to chop and change foods as and when the mood takes you. 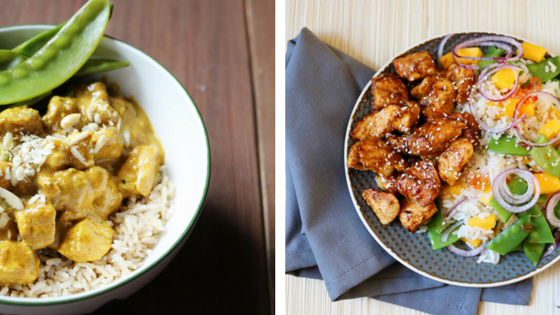 Tired of bland and boring meals in your nutrition plan? In desperate need of some motivation and inspiration? Then over the coming weeks I’m going to be giving you a whole host of great recipe ideas that will mean plain chicken, steamed veg, and boiled rice will be a thing of the past. In this new blog series, I’m going to be posting nutritious and great tasting dishes each and every week. You’ll be getting 2 new dishes every week that will give your nutrition plan a much needed boost. The word ‘diet’ has a connotation of being something that restrictive, dull, and miserable. It conjures up images of tasteless food or liquidised vegetables that you have to eat 3 times a day. But it doesn’t have to be that way. With all Iron Paradise Fitness meal plans, I make sure those thoughts and images become a thing of the past. I want to be able to show you that reducing body fat and building muscle can be done using great recipes that you’ll love to eat. And what’s more, your family will love them too. 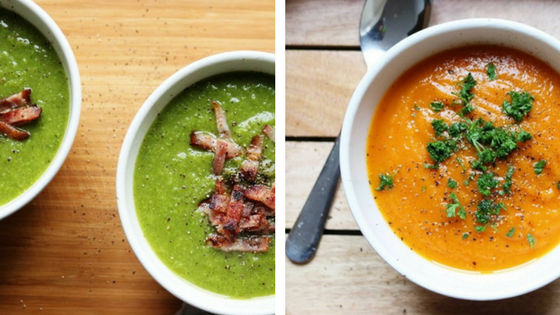 A great meal plan is one that’s tailored to you and fits around your lifestyle. I could quite easily write meal plans that have boiled chicken and rice for every meal. But you’ll be living out of Tupperware most of the time. And when those around you are sitting down to eat their freshly prepared food, you’re at the end of the table trying to force another spoonful of dry rice that has the texture of cat litter. And to be honest, I wouldn’t feel right giving that crappy level of service to you. But I don’t want to do that. I want to give you recipes and foods that work for you and those around you. After all, if your nutrition plan works around your lifestyle, the chances of your sticking to it and succeeding increase greatly. At the end of the day. That’s all that matters. Results. 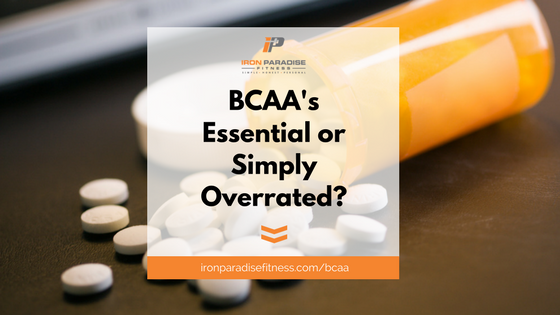 BCAA’s: Essential or Simply Overrated? BCAA’s are marketed as an essential supplement to support your training. But should you believe the hype? I’ve spent thousands of pounds on a whole host of supplements over the years. Not just BCAA’s, but a myriad of different products. After all that wasted time and money, I finally feel I’m able to separate what works from what’s just marketing hype. And I’m going to share some of that knowledge with you in this article. Honestly, I wish I could’ve done it quicker. If I’d have known what I know now, my physique would be much more developed. And there’d be a few more notes in my wallet as well. And that’s the fundamental reason why I wanted to write this article. Essentially, I don’t want you to make the same mistakes I did. I’ve no doubt you work hard in the gym. You want to maximise all your efforts and turn every set and every rep into gains. Be that muscle growth or fat loss. And that’s perfectly natural. But the honest truth is that filling your cupboards with every pill, potion, and powder on the market isn’t going to bring you the results you hope for. As a natural weight lifter you’re always looking for marginal gains. Especially if you’ve been lifting for a couple of years. Because that extra bit of width on the shoulders or that added thickness in your back is harder and harder to come by with each passing year. You’re maxing out your training in the gym and your diet is consistently on point. So now you look to the added boost that supplements can give you. But how do you know what works and what doesn’t? So let’s get down into the detail of today’s article and lift the lid on BCAAs. And let’s see whether they should be on your shopping list or banished for good. There are no good or bad foods! There are no miracle foods. There are only foods that work for YOU! One food type or specific meal is, in itself neither bad nor good. It’s more about how that food or meal sits in the overall context of what you ate (or plan to eat) in the day. It goes back to the fundamental principle of good nutrition. And that’s energy balance. Calories in vs calories out. If your goal is to lose weight, then you need to be eating less calories than you burn (calorie deficit). Flip that around if you want to gain weight for the purposes of increasing muscle mass, ie eat more calories than your burn (calorie surplus). If you make this mindset shift in how you think about food it can unlock your potential to succeed in your fitness goals. Think about this for a second. It’s lunchtime. You’re out and about in town, rushing around trying to get all your shopping done and your starving. You haven’t brought any food with you and you haven’t got time to sit down for a full meal at a restaurant. Out of the corner of your eye, you see those golden arches. You wouldn’t normally do it, but you decide to dive in and get in the queue. You know that McDonald’s has some healthy choices these days, so you’re going to be good and stick to the ‘boring’ side of the menu. As you’re standing in line, you glance up to the display boards all brightly lit with their perfect photography of succulent burgers stacked high on seeded buns. You’re now at the front of the queue. Do the benefits of caffeine extend beyond a morning ‘pick-me-up’? Can it really help with fat loss and increasing muscle mass? Does your morning routine consist of some form of caffeine hit? Do you stagger out of bed, fumble around for the light switch and trudge zombie-like to the kitchen to make yourself that first coffee of the morning. It’s behaviour akin to a drug addict looking for their next fix, but you feel like it’s what you need to turn you from an extra of the Walking Dead into the human being you and those around you recognise. And this little wonder drug sometimes get a really bad wrap in the mainstream press. You’re told to cut back on your intake on a regular basis because of all its negative effects. And while side effects such as sleep disruption, nausea, stomach pain, and irregular heartbeats are very real. They only really come into play with heavy usage and for those with a particular sensitivity. In this article I’m going to outline 5 benefits of caffeine for fat loss and building muscle. And crucially I’ll tell you how much you should be looking to consume on a regular basis. Ultimately, my aim is for you to experience all the benefits, while reducing the risk of any side effects. So, go put the kettle on. 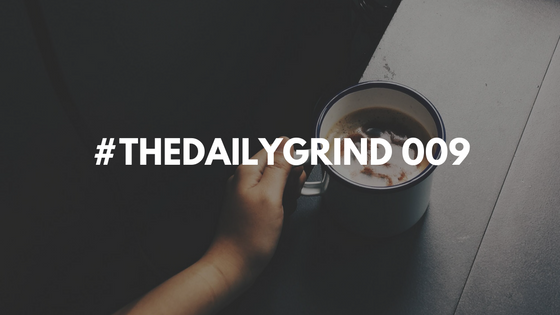 By the time you’ve finished this article you’ll know whether or not you should make that coffee.